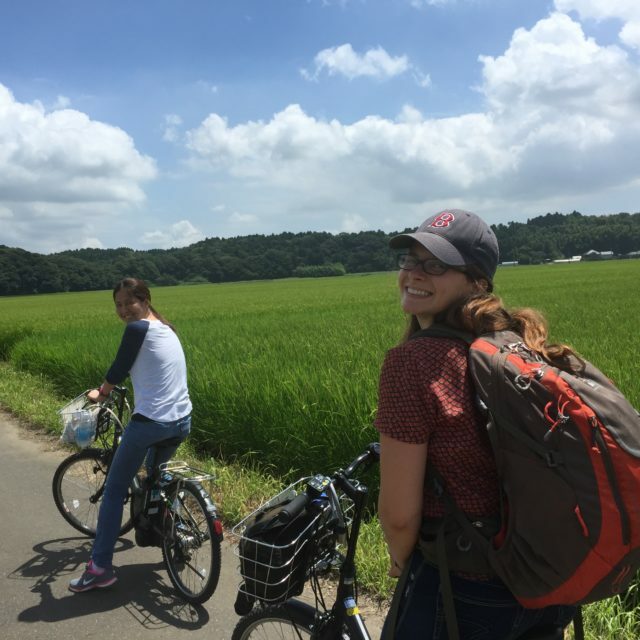 Walk or cycle through idyllic rice fields to a quiet out-of-the-way temple, a former school for monks. 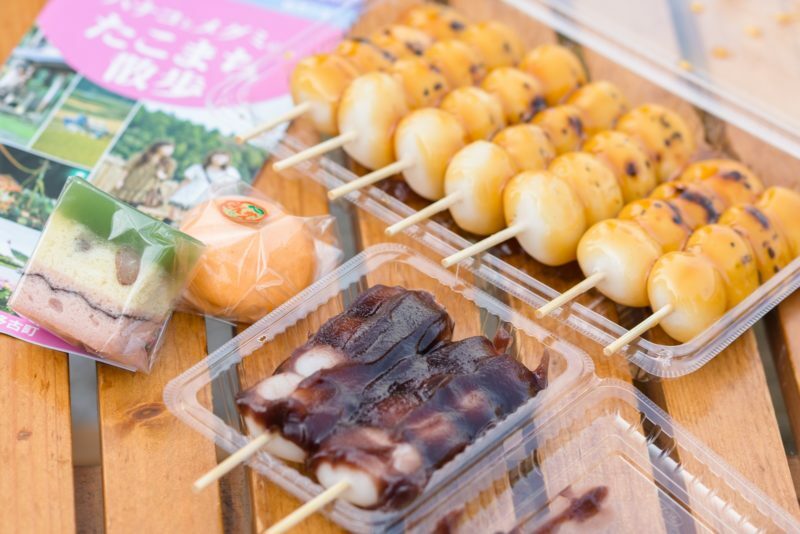 Afterwards enjoy a riverside lunch made with locally-grown rice. This tour can be customized to fit your interests and budget. 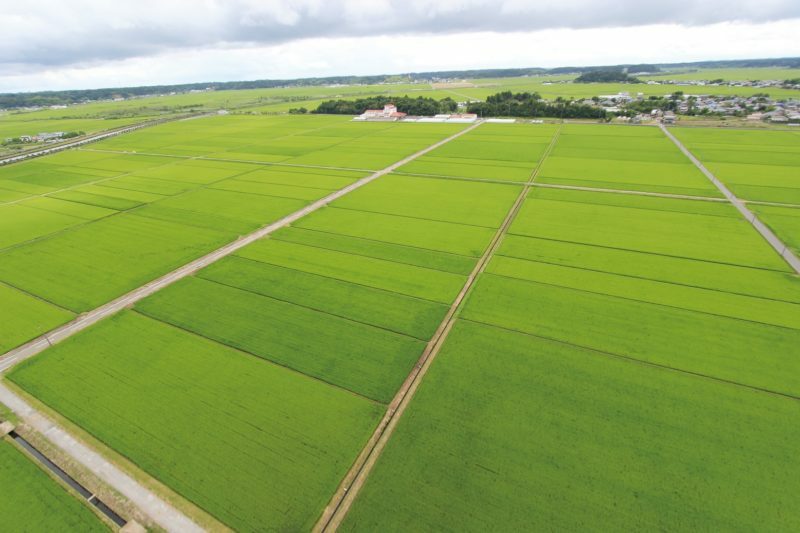 Surrounded by beautiful rice paddies, Tako Town is famous for its delicious rice, which can be enjoyed with bento boxes on the banks of the Kuriyama River or in a dining area on the second floor of Roadside Station Tako Ajisai-kan. Relax on a short river boat ride (available weekends), or rent an electric bicycle to explore further afield. 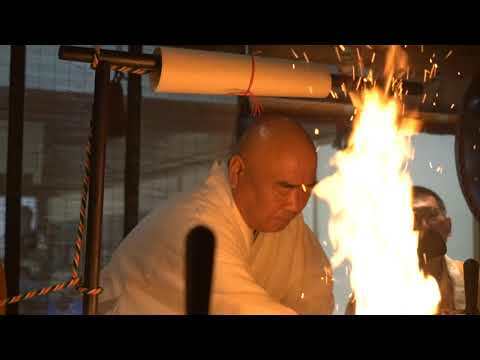 Nichihon-ji Temple is an important temple of the Nichiren sect of Buddhism and is well-known as being home to the Nakamura Danrin, a school for monks. 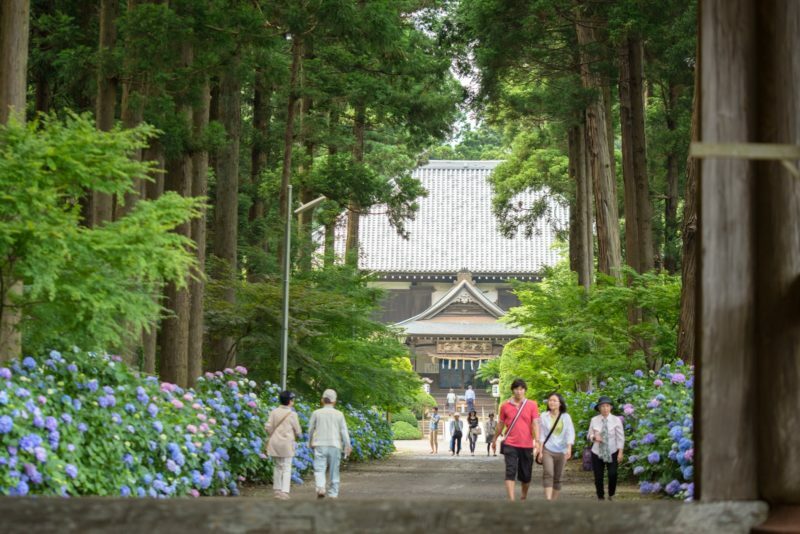 Nichihon-ji is also known as the Ajisai (hydrangea) Temple: in June its wooded grounds come alive with 10,000 colorful hydrangea blooms. Known as ajisai in Japanese, hydrangeas are symbolic of early summer in Japan and their blooms are loved and photographed nearly as much as sakura in the spring and fall foliage in the autumn. 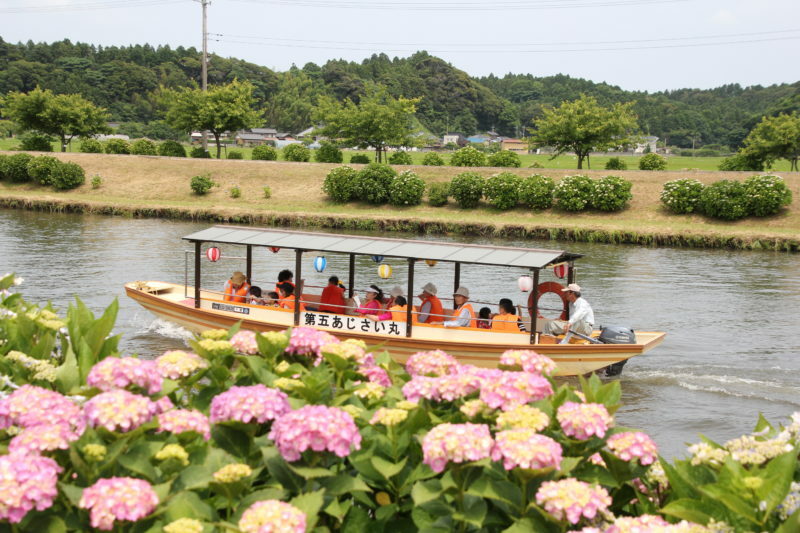 Tako’s Hydrangea Park spans both banks of the Kuriyama River and is a lovely place to relax. In spring the park is blanketed with yellow mustard flowers, and in fall colorful cosmos stand out against the blue river. 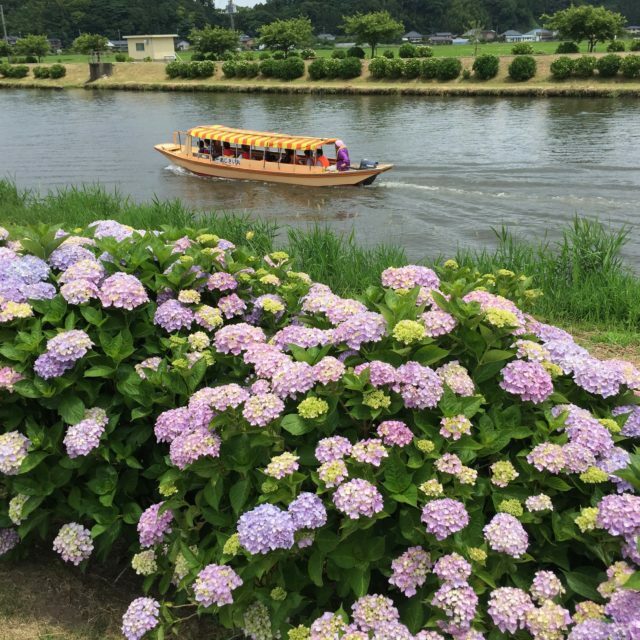 Tako’s Ajisai Matsuri (Hydrangea Festival) is held during Japan’s rainy season in June when the 10,000 hydrangea flowers growing along the banks of the Kuriyama River bloom in gorgeous blues, purples, pinks, and whites. 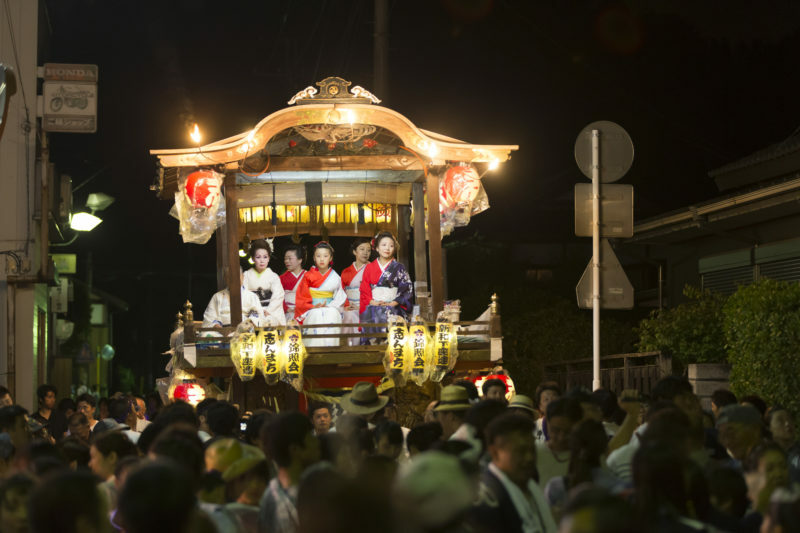 The festival opens with a ritual rice offering in which townspeople, dressed up as lords, ladies, and samurai, take to the stage for this annual ceremony. The celebrations include traditional folk performances, concerts, and river cruises on traditional sappa boats.